In a pair of memos to agency heads this week, White House Budget Director Mick Mulvaney laid out how his office will monitor progress toward formalizing the improvement of program management and getting a better handle on long-standing efforts to avoid government payments to undeserving parties. The first memo, dated June 25, follows through on the 2016 Program Management Improvement Accountability Act, which requires appointment of program management improvement officers and created a new interagency council to enhance program and project management techniques. The memo sets July 27, 2018, as the deadline for appointment of a senior executive as program management improvement officer, if this hasn’t happened already. Each agency’s overall implementation plan for the program management agenda is then due by Nov. 30, in time for a governmentwide OMB report planned for the winter. 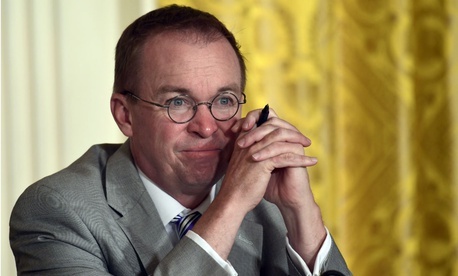 Mulvaney wrote of three implementing strategies, focused on requirements under the Government Performance and Results Modernization Act as well as a review of items on the high-risk list produced by the Government Accountability Office. The first addressed coordinated governance, with leadership from chief operating officers and collaboration within each agency. The second involved regular OMB and agency engagement and portfolio reviews to identify barriers to good outcomes. And the third addressed strengthening the programs’ management capacity while building “a capable” program management workforce through training, career paths and mentorships. All programs reporting an improper payment estimate “should identify the reasons their programs and activities are at risk of improper payments,” it stated. “Corrective actions developed and implemented by agencies should be responsive to the root causes of the improper payments….Distinguishing between what constitutes a root cause that created an error versus an internal control problem that did not catch an error is critical when creating corrective actions to address improper payments,” it said, calling for measurements of annual progress of each individual corrective action. Linda Miller, director of the Fraud Risk Mitigation Practice at Grant Thornton LLP, praised the improper payments guidance for its clarity in its effort to reduce the reporting burden. “It’s clear that they are trying to push agencies to do more rigorous qualitative assessments and relieving them of the burden of doing more costly quantitative assessments if they have a robust qualitative process,” she told Government Executive.